In the build up to the disastrous FA Cup defeat to Wigan, David Moyes spoke to ex Everton defender Martin Keown and provided a candid interview discussing his approach to spending the clubs limited transfer funds, his opinion on the tactical approach adopted by some of Europe’s top teams and how he likes his Everton side to do something a bit different. KEOWN: Like with Phil Neville, every year, the players you work with seem to get a bit better. And you find a special player to bring in and make the squad better. You’re finding players that other people aren’t. MOYES: We can’t go to Harrods, we have to buy in a different market. But we’ve worked really hard to find players, which is why I go to a lot of football. I’m not always at the Champions League games because I have to find players who are going to be future Champions League players. I can’t watch the top teams because I can’t buy their players. There’s a risk that the players aren’t always going to be good enough but they can be. Look how good Michu has been for Swansea. People were amazed last year that we only paid £5.5million for Nikica Jelavic. KEOWN: Do you watch players a lot of times before you sign them? MOYES: Usually. We went 24 times to watch Joleon Lescott before we signed him from Wolves. People called me ‘dithering Davie’ because I watched players so many times but I couldn’t afford to get it wrong. When you’re looking in an alternative market, you’re not going to find someone who you’re sure about straight away and is ready to come into the team. If he was that good, he would have been taken by the others. We watched Phil Jagielka a lot too. I saw him play badly for England B but we went for him. I liked Leighton Baines after seeing him for the England Under 21s. But neither player got straight into our team once they arrived. It took time. KEOWN: Is the market you are buying from different now? MOYES: The prices for English players are so high now. The biggest thing a football club could give me to help with my scouting is a private plane. Whereas I used to jump in the car to see Joleon at Wolves, Tim Cahill at Millwall or Andy Johnson at Crystal Palace, now I’m scouting in Spain, Germany or wherever. It’s getting harder and harder. 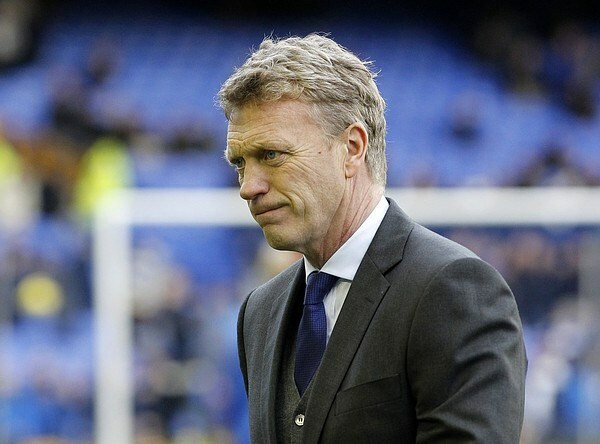 MOYES: You watch every game analytically. I watched Bayern Munich the other night and I was so impressed by their energy. I didn’t see any special tactics, there wasn’t a Messi or Bale in the team but it was an incredible functioning unit full of top players. KEOWN: Because they don’t have one great player dragging them through, a lot of teams can learn from them. Juventus too. I watched them against Celtic and they played with three at the back. MOYES: I noticed that too and liked that they played with two front men themselves. It caused problems. Centre halves are thinking “what do we do, it’s two against two here?” We’ve tried it a few times and it has caused problems for the opposition because so often you only see one up front these days. KEOWN: It made me wonder if I would play that system if I was a manager. We did it for a while at Arsenal under Bruce Rioch and then spent the beginning of the week trying to work out what had gone wrong in the previous game. There were so many questions every week. MOYES: I’ve thought about doing it but I don’t think most centre backs like it, I certainly didn’t. But you need different types of defenders now from when we played. KEOWN: You are right. I think that central defenders now don’t have to be as big as they used to be, that even full-backs can play in the middle. MOYES: I agree. Jagielka is not the biggest. I wasn’t coached to take the ball out the back like centre halves do now. My job was to outjump the big centre forward. You always had a big striker up against you and usually a small, fast man alongside him. Now defenders usually have just one man to mark between them. You can’t really tackle, so you have to learn to intercept, but you’re still expected to be good enough in the air to defend corners. It’s the hardest position, I’d worry more about playing a young centre half than a young goalkeeper. KEOWN: The style has changed from my early days. Under Graham Taylor at Aston Villa, I was told to hit everything into the channels. Now defenders are expected to pass. MOYES: We have to be careful we don’t have overkill, a situation where people are taking 20 passes to get out of their own 18-yard box. I like football to be progressive and exciting. I like the unpredictable, a clever flick-on or a diving header and sometimes football now is a bit sterile with too many passes going nowhere. The full interview is available on the Daily Mail website.